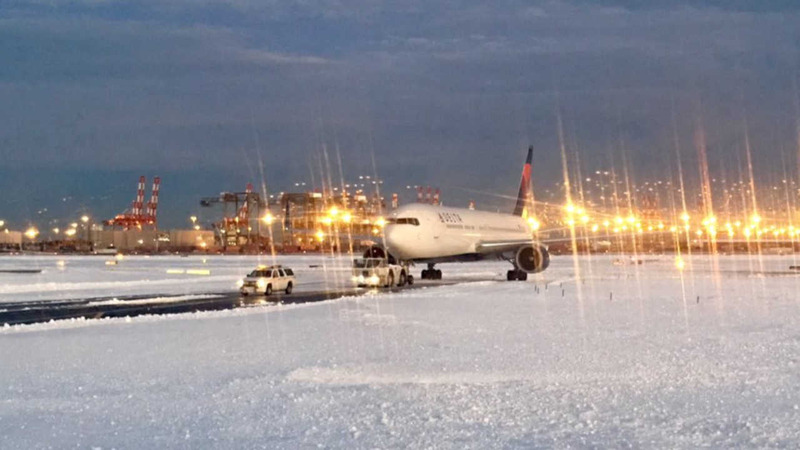 NEWARK (WABC) -- Two Delta planes clipped wings at Newark Airport on Sunday. An MD80 was waiting for a gate after landing. As a 767 was being towed to a separate gate, the wings clipped. There is no word on the extent of the damage to the aircraft. No one was hurt, and the FAA is investigating.